Once the plates were cleared and the others at the table had meandered off into the vineyards, Croft and I pushed back our own chairs and conversed as anyone might after a leisurely lunch—not as journalist to winemaker but as person to person. Meg Houston Maker: I’ve peppered you with questions. I appreciate it. I’m not pushing, I’m just wondering. You understand that, right? Vasco Croft: Yes, you are seeking, curious. MHM: I am curious. I’m very curious. MHM: Your wines are beautiful. Really, really beautiful. VC: It’s not so common, people coming here and asking such questions. VC: It’s rare. It’s very, very rare. MHM: What kinds of questions do they ask? VC: Oh—What varieties do you use? How long do you leave it on lees? MHM: Those are important questions, but it seems that you’re operating from a place that’s coming from here [points to chest] not just from here [reaches out hands]. You’re not operating from the tips of your fingers. You’re not operating from mechanics. You’re operating from a more deeply spiritual place. And so, I can ask you questions about the mechanics, but that’s not going to get at what’s in here. You have done something that I think a lot of people aspire to do. You’ve taken one life, one orientation, one career, one very successful profession, one set of family relationships, and you’ve said, I want to commit to this thing now. And that interests me. That’s what I’m curious about. I like to write about wine not because I like to write about how much residual sugar is in the glass. I like to write about wine because I care about people like you who are approaching winemaking in a way that transforms how we think about the table. How we think about family. How we think about ourselves and our work. How we think about a manufactured product and its relationship to nature. These are the questions that I find curious. I’m interested in nature and culture and place and people, and the product is an expression of that, but it’s this conversation that’s really the most important to me. VC: I like this idea of someone tasting the wine and this being full of something difficult to express but that super-consciously takes you to another space. MHM: It takes you to another space, and a space that we may not even have language for. But if that experience can be replicated in other people, then that’s a form of expression that’s nonverbal, nonlinear. It could be a beautiful meal, a beautiful piece of music, an experience in nature. I’m an organic gardener. I live in nature. I live like you do. Not quite so magnificent! But without nature I feel lost, I feel at sea, I feel ungrounded. I need to be around this. One of the reasons I’ve been making audio and taking video of the water features here is that this is water [points to wine in glass], but it’s water that’s had something drawn into it. That particular form of water wouldn’t exist without your intervention. But it’s not just your intervention, it’s the cosmos, it’s the soil. It’s almost as if a lightning bolt has come into this glass—kapow!—and made this thing that wouldn’t have existed if you hadn’t been here—and yet it’s not of you. VC: Yes, this has emotion, life stories, energy. VC: The whole universe meets in you. MHM: I feel that in your wine. 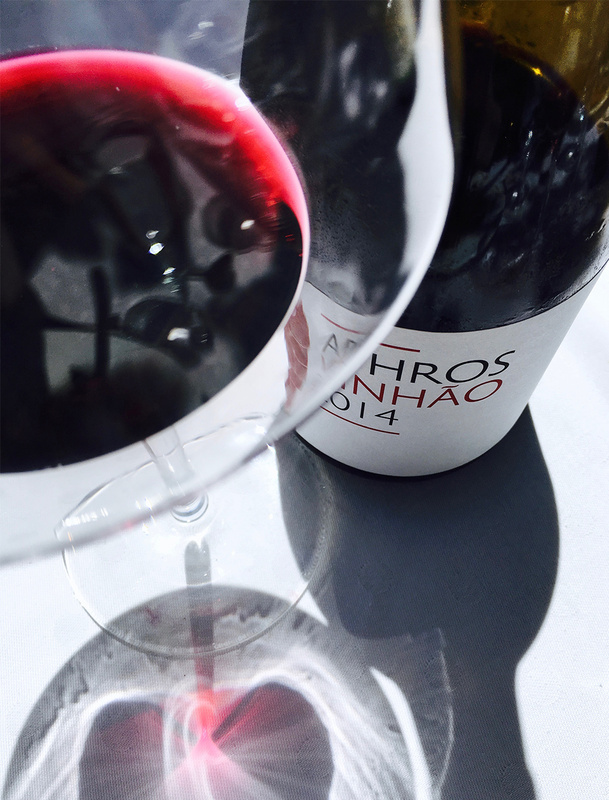 I feel a soulfulness in it, and this is why I wanted to try to understand—to the extent that we can express in language—how you approach your wine. I think that your wine itself says something, and I’m hearing something that the wine is telling me, but I wanted to hear what you would say about it through language, too. I think this place, too, has an expression. Again, there’s a modernity and a traditionalism here. There’s this beautiful balance, but also almost a tension, pulling toward the past and pulling toward the future. VC: Because both have their truth. Just copying old recipes is a dead attitude. It becomes a cliché. But being modern without looking to the past and future is also cliché. 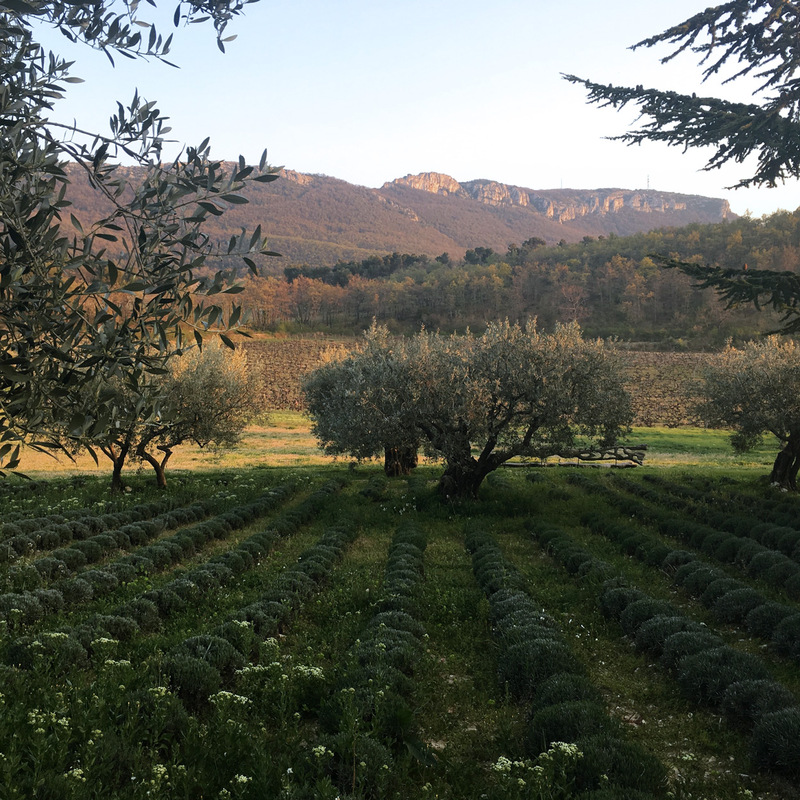 MHM: So, consciousness is a really critical part of the work, an ingredient—human consciousness—which I think is missing from a lot of the discussion of Steiner’s philosophy, or at least the superficial discussion of biodynamic wines and biodynamic winemaking. VC: Well, you see, biodynamics has become a trend, a kind of brand. All kinds of people are doing biodynamics who not only don’t know Steiner’s thinking, but they’ve never even been through the biodynamic lectures. Writers write about biodynamics and they don’t know what it is. They never took the trouble; maybe they started the first chapter, “But you know, the paragraphs are really difficult to move through.” So they prefer to have an idea in their heads so they can still go on writing, because no one will notice. VC: Steiner’s nine days of lectures is a little book like this. But nobody has it. MHM: I think often people hang biodynamics on all of the preps and all of the procedures, and what’s required to be done. VC: —No. It’s mechanic. Biodynamicism is looking, experiencing. It’s not technique. Below are links to reviews of nine wines, sparkling and still, presented in the order of tasting. 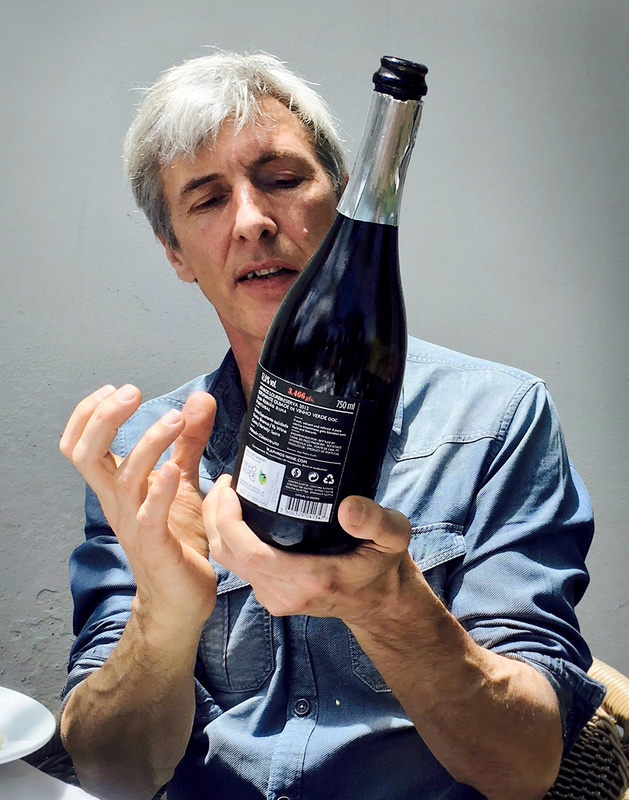 Note that Vasco Croft’s still wines are not spritzy like most Vinho Verde, which are often artificially carbonated. Also, with one exception, the wines are bone dry. You can also follow this link to find these wines in the Wine Reviews section. 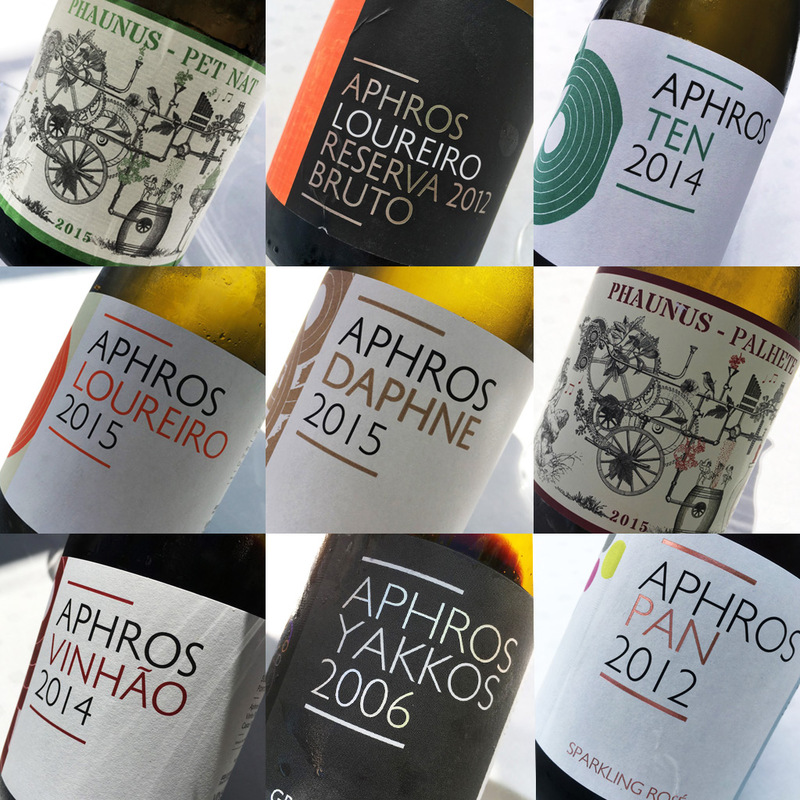 Read the first of this two-part series: A Conversation With Vasco Croft of Aphros, Part One. The original interview was conducted 19 May 2016 at Quinta do Casal do Paço in Arcos de Valdevez, Portugal. It has been edited and condensed. All wines were samples for review. Travel was sponsored by Comissão De Viticultura da Região dos Vinhos Verdes with support from the European Union. Many thanks to Vasco Croft for his time and hospitality. Lots to think about, but first a quick question: are the wines imported to the USA? If so by whom? Ah yes. Thanks. Had not gotten that far yet. 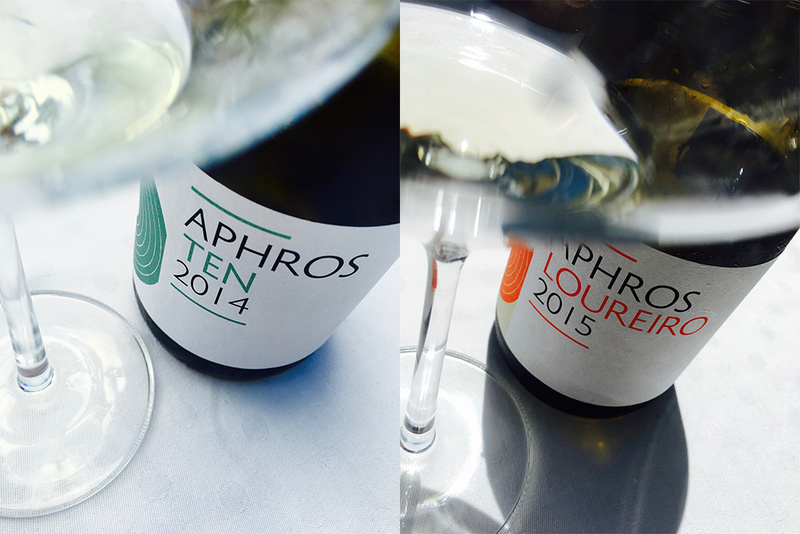 One of the most remarkable things about his remarkable wines is how affordable they are. I look forward to hearing what you think of them. Thanks, as always, for reading, David.